That sounds like the description of a scam where someone takes money under false pretenses. It seems to be a modern trend. Be realistic and it is very hard to raise money. Promise something perfect and flawless and you are showered in money. So never let the engineers talk to the public. It is sad because when a real engineer is running a business, you often get the best long term results. Sydney in Australia is still benefiting today from the great engineering work of James Bradfield between 1915 and 1933. Can't think of very much brilliant engineering work here in the last 30 years. From my perspective in audio and video engineering here in the USA, I can say that two Aussie companies have made quite a name for themselves in the international market. Røde which makes microphones (and associated accessories), and BlackMagic Design which makes a wide variety of very popular digital video gear. I was really referring to public infrastructure engineering in Sydney. There has been a few significant long term technological developments from Australia. The CSIRO (the Australian government research organisation) did a pretty good job solving one of the biggest problems in development of WiFi. Then the CSIRO was crippled by the government. Probably couldn't happen today. There were also things like the invention of the airplane and the rotary engine used to power all the early powered planes. Must have been a great help to the Wright Brothers a decade later. Scammed millions of dollars from gullible crowd-funding public: prototyped, working and successfully completed! So far so good.... things should start getting interesting next year as some deadlines approach. This "update" is sure to be the first of many more entries designed to keep backers off the scammers back and classic delay tactic. War of attrition except that one side has almost $2 million while the other has nothing but some paper vouchers for vapor-ware. It seems unlikely that anyone in this forum actually expects to see anything remotely resembling this to be demonstrated as working. We are incredulous at the chutzpah of the con-men and the gullibility of the victims. Even if they can, by some miracle, get the micro-blowers working, there is no way they can embed enough power internally to operate them for 8 hours against that pneumatic load. Personally I think the concept is plausible and Im curious to see if they ever deliver a working product - they probably wont, but at least their concept doesn't ignore known physics like the uBeam whackos. ...at least their concept doesn't ignore known physics like the uBeam whackos. They ignore physics every bit as much as the uBeam whackos. Even if they get those micro-blowers working, they are off by at least 2 or 3 orders of magnide for what a CPAP device is required to do. Both in terms of volume as well as pressure. It is hard to imagine how these presumably smart people can be so wildly off the mark. Exactly the same willful ignorance of basic physics as the uBeam gang of clowns. And what if they CAN get the micro-blowers working at sufficient pressure and volume, how much power will it take to operate them? Do you see any provision for battery power sufficient to do that for 8 hours? I don't. Did I miss something here? I AM willing to believe that IF they will get the micro-blowers working, they will likely find a few real-world applications where small size is valuable, but high volume and high pressure are not required, and where there is no limit on power. But a self-contained, internally-powered, nose-mounted CPAP machine? Not in our lifetimes. Yeah I agree there are major issues they need to solve - as you point out the battery issue seems to be the biggest one and for sure the blower strength issue is the other. They might surprise us and the blowers work great ... for an hour using a couple of button lithium cells. Anyway, I'm happy to watch them and see what they produce ... or dont. Me too... But as predicted from the start, this is one of those classic schemes where the people who orchestrated this startup (Stephen Marsh and his team) carefully crafted this campaign to provide exactly what they promised (vouchers) in exchange for investment capital for working on the technology R&D and the public made a leap of faith which was their own downfall... but obviously helped along by a healthy dose of misleading optimism on the actual potential of a final product being delivered. Marsh played this beautifully and the public was fleeced in style. A look into the history of these guys shows a number of other failed ventures and when you start having issues with the bank and investment capitalists, crowdfunding becomes a nice way to get free money without any risks or obligations to pay anything back! It's a great lifestyle. Just keep getting gullible people to fund your ventures until you find one that you crack it rich on. Each Kickstarter can last for several years of full time funding, and no legal onus on you to actually deliver anything. I suspect they will produce something that makes tiny puffs of air and that's it. Realizing they have no chance in hell of getting certified, they will either lie and and say they got it or make up some BS excuse and pseudo-sad announcement as to why it didn't make it. Then they will turn right around and try to sell it illegally from China as a quack medical device. For one, there are a plethora of "Airing" style nose pieces now being marketed on eBay. Are the Chinese simply jumping on the bandwagon seeing how many people are gullible and with the market "tested" in a way, taking advantage of the opportunity to fill a certain niche? 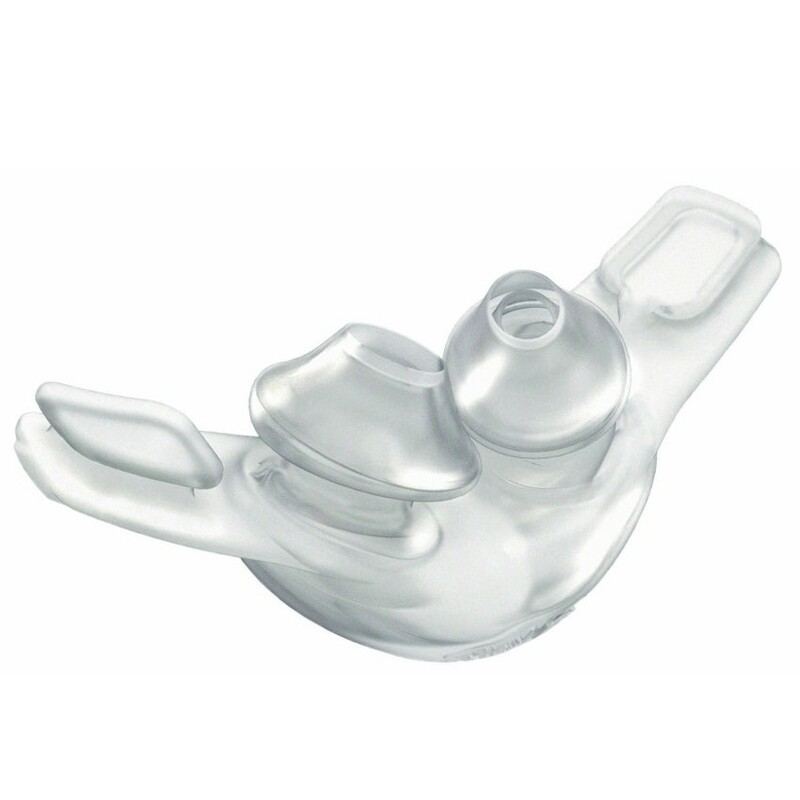 Type in "Airing" and you will find them everywhere... some look alike, some don't look anything like the Airing, but all offer a nasal dilator functionality which I suspect would still be helpful (like the BreatheRight). They also claim some dubious patent # 201530543377.7 which shows no patent on Google, just brings up more of these devices under a variety of names. Obviously the human nose has a certain variation in shape but most of us will have a similar nose. I wonder how well these things will even fit given that when you get EARBUD headphones or the BlueTooth earpieces these days they give you a few different rubber options for different sized ear canals so you get a tight fit. Wouldn't you expect noses to have different shapes for the nostril openings, the spacing and the size of the openings? How would anyone expect a one-size-fits-all approach to work? Yet another obvious red flag. Still, when the campaign ends and users are knocking down Stephen Marsh's door demanding they deliver, I wonder if they will fulfill the orders by sending people some of these cheap eBay nosepieces and tell them that's as far as they got with their prototyping, or deliver anything at all. Reminder - An amazing opportunity to invest at an early stage! Developing the world's first hoseless, maskless, cordless micro-CPAP device to treat sleep apnea. We recognize that you may have a very busy schedule. We are sending you this email to remind you about the equity crowdfunding campaign that we launched on Tuesday. Glad you asked! So far, it's been great. We have already raised 60% of our minimum goal in less than 48hrs. Produce a working prototype of the micro-blower technology. Demonstrate the micro-blowers blowing the required amount of air. Combine the various components into a testable prototype and conduct preliminary testing and validation of the efficacy of the device (using external battery and electronics). To pursue intellectual property protection of all facets of the technology. Develop reference designs for battery and electronics to be used in the device. Maintain and promote the Airing brand. We hope this opportunity interests you. We have answered many more questions on Wefunder. Check it out. Please note that as with any startup, an investment in Airing involves significant risks, which are described in the related documents on Wefunder. 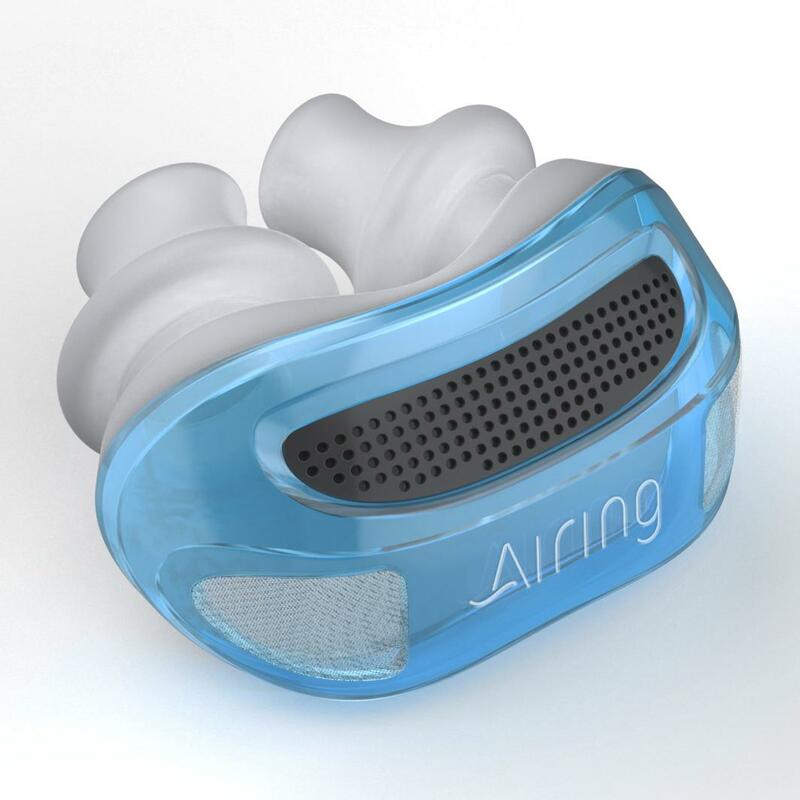 But if we are successful in our effort to bring this important technology to millions of sleep apnea sufferers, it could be a source of both pride and profit. I have no more faith in this than conventional crowdfunding but if these "investors" at least have more legal standing it would be a slightly better way to get involved. At least if the company gets sold or scraps are left to sell off after bankruptcy they would get dibs. Wait, they raised 2 million and now want another million? It takes an infinite amount of money to make something impossible work. The financial equivalent of division by zero. A few years ago we already got wind of the kind of money needed and how this entire thing developed. It was all in an audio interview which is boring as heck to listen to but insightful. Perhaps someone should find or make a transcript of it. It is still here in case you want to hear it... Maybe someone can also download it in case it disappears from the web. I also remember somewhere earlier in this now 9 page thread that Marsh apparently needed close to $13,000,000 or so to get the company going, and it was disclosed somewhere on the main campaign website at some time. Not sure whether it was before, during or well after the campaign closed. But he and everyone else around him knew very well that the IndieGoGo campaign was *NOT* going to be enough to raise the capital they needed, even if by some miracle things were actually working on schedule. Ultimately, if Marsh does manage to succeed in building ANYTHING it may be some niche market electrostatic-based pump or airflow device and maybe some small solid-state pressure sensor. I very much doubt anything powerful enough to be used for Sleep Apnea could be developed but let's see what they come up with. Just imagine if he did manage to produce a small pump that was useful for hobbyist purposes, even if it's too weak to treat sleep apnea (or under the 200% total system efficiency required for it to treat sleep apnea using the batteries they said they would use). It'd be a pretty annoying moral problem if you wanted to buy one of those for a project; knowing that they were funded by the desperate pleas of sleep apnea sufferers. It'd be a pretty annoying moral problem if you wanted to buy one of those for a project; knowing that they were funded by the desperate pleas of sleep apnea sufferers. Not a problem I'll have, I helped fund it precisely because I wanted to play with the result (assuming there is one). The airing could generate the pressure needed but not the volume of air. As soon as you inhale the pressure will drop dramatically. It's akin to blowing up an air mattress with a small tire compressor which I did once. Spent hours and only half inflated. Then got out the vacuum cleaner with blower and did it in a matter of minutes ! It's just basic physics which should have nailed this project on the head right from the start ! The airing could generate the pressure needed but not the volume of air. As soon as you inhale the pressure will drop dramatically. Good observation. Yes it may be that they could get a static pressure generated against a small closed air chamber up to a fairly high level. However, the larger the volume of air being compressed the less pressure there will be in the system because the overall ratio of the small pump volume to the much larger reservoir they are trying to apply the pressure to will be very low. Add to that the amount of air that needs to be moved in a short period of time and you have much less effect. Mind you, the problem is not the lung capacity... it's obstruction usually from flaccid palatal and tongue tissues which "fall back" on the airway and get in the way. You only need to pressurize the nasal/oral/pharyngeal spaces just enough to lift away the obstructing tissues, but like you said earlier the minute the flap opens and the person can breathe in, the pressure is GONE... Escaped down into the much larger lung volume. So you have to continuously pressurize (aka the C in CPAP) the nasal-oral-pharyngeal spaces so that they are higher pressure than surrounding atmospheric (outside the body) and lung pressures, to always make sure any obstructive tissues are unable to close on themselves. Airing may come up with some interesting technologies along the way, but I think the marketing ploy to making a CPAP was and still is mainly a rouse to garner public crowd-funding. Rather than trying to get money for making micro-pumps to help with fuel cells (which was actually how they started in an earlier venture), they figured out that if they "re-package" the problem as some medical breakthrough device they could still work on their micro-pumps but pretend to be solving some practical every-day problem for Sleep Apnea suffers, unfortunately preying on the hopes and dreams of folks who may be easier to take advantage of in their medical state. I don't blame Airing... They are simply taking advantage of a platform that we as a society have much too easily empowered and for which people are far too easily ensnared to give away their money. As this industry matures and more and more people are burned we will hopefully see more backlash, more regulation and possibly legal situations which ensure real criminals are actually punished, and people understand better the REAL risks involved. I don't blame Airing... They are simply taking advantage of a platform that we as a society have much too easily empowered and for which people are far too easily ensnared to give away their money. The same could be said for tax avoiders, religious zealots, political zealots and many other people/companies. We often get questions about why we chose to raise money to develop Airing on a crowdfunding platform, and particularly why Indiegogo. People have suggested that we go on Shark Tank. Others wonder why we didn’t use venture capitalists or banks. Crowdfunding gives Airing direct access to the very people who want to see this concept become a product. Unlike more traditional funding sources, the “crowd” reacts very quickly and passionately. Many people recognize that while a contribution to a campaign is a big risk, it’s one they are willing to make because when the product becomes a reality it will really be beneficial to them. Their contribution is a sort of bet—huge upside potential but not so much money that they could not afford to lose it. Another benefit of crowdfunding is market validation of a product concept. With over 20,000 contributors, we can check that box. Our donors come from over 120 countries—literally from every corner of the globe! And the publicity we have gotten on through this campaign has attracted the attention of many world-class companies—suppliers, manufacturers, regulatory experts, and distributors. We are well supported in our work to bring Airing to market. Another reason we chose Indiegogo is because they reached out to us very early on. They thoroughly vetted us before we were permitted to launch, and conducted another review of our campaign and progress in the second year of our campaign. Indiegogo has offered us great support. The team that they put together to support us is professional, very helpful, readily accessible, and quick to respond. It’s been a great platform for us. When we launched our crowdfunding campaign on Indiegogo rewards-based crowdfunding was the only option available. In the past year, however, this has changed. New provisions, known as Regulation Crowdfunding (Title III) have been adopted to allow smaller investors to buy shares in private companies on the same basis that had previously been limited to accredited high net worth investors. In response to this development, new platforms have emerged that provide small investors the opportunity to buy shares in startup ventures alongside the more traditional larger players. Since many people have asked about the possibility of making an equity investment in Airing we decided to explore this option. The most successful, and most experienced, of these platforms, is Wefunder.com. 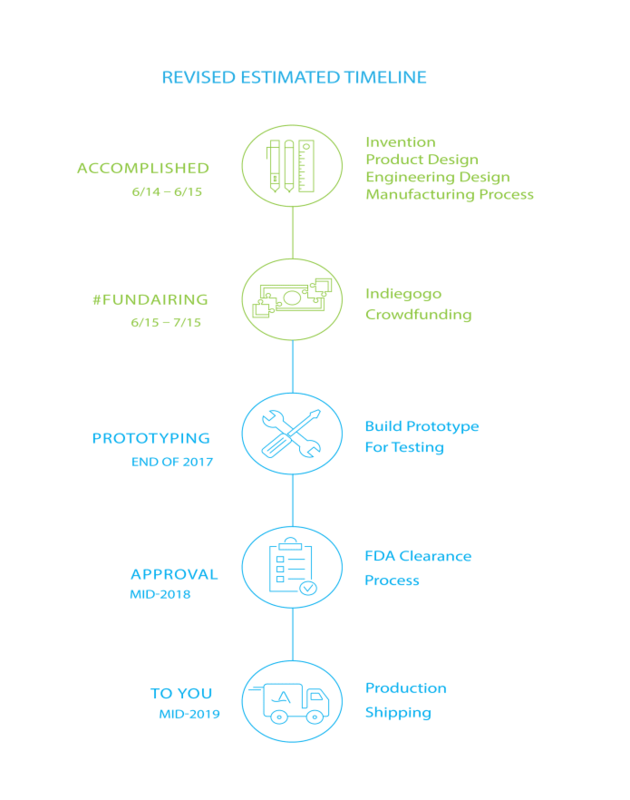 After extensive discussions with the Wefunder team, we concluded this would be a good way for us to complement other sources of financing for the continuing development of our breakthrough micro-CPAP device. Please take a look at our Wefunder.com campaign. I supported the Aring on Indiegogo some time ago (a year or so). Now I think that wasn't a good idea. So I tried to get a refund from Airing directly, as Indiegogo says after they transferred the momey to Airing, they are not responsible. Thank you for your message. Refunds to your credit card can only be processed by Indiegogo. We cannot process a refund to your credit card because we have no access to that information. It is protected by Indiegogo, as it should be. We adhere to Indiegogo's Refund policy. Please be advised that contributions to Airing are not refundable beyond the policy stated (within 10 days of contribution). After this period, Indiegogo takes out their fees, the remaining funds are transferred to us (without your credit card/payment information), and we begin putting those funds to good use. By making a contribution to this campaign, you acknowledge that you understand that you are contributing to fund the development of the Airing micro-CPAP device and not making a direct purchase. We appreciate your support, and we are hard at work developing the Airing prototype. Any chance to get my nearly 100$ back?